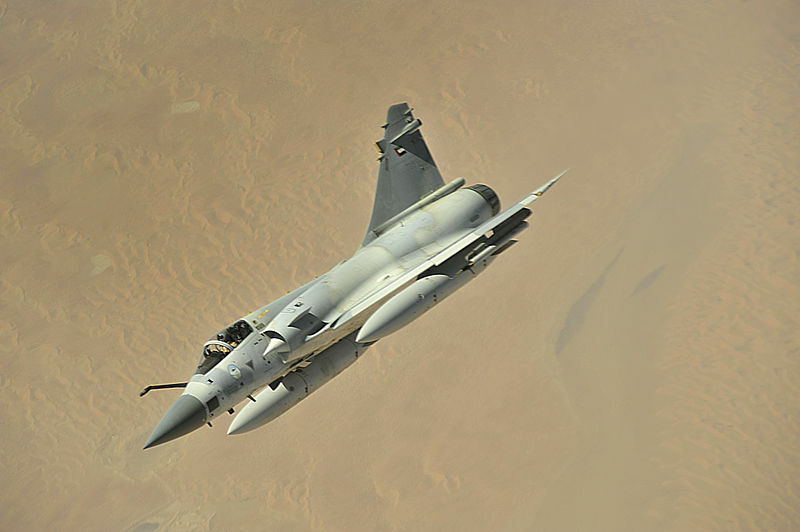 An Emirati Mirage 2000. Via Wikimedia Commons. An Emirati delegation were among the foreign guests at this week’s Arms and Security 2018 in Kyiv. The annual event is held at the International Exhibition Center where both global and local companies participate and show off their products. But the stalemate in Donbas lends a sense of urgency to the proceedings even as Kyiv is still looking for contracts abroad. Ukraine and the UAE have enjoyed smooth bilateral ties since the early 1990s that extended to limited military exports. But in 2017 a cooperation agreement was signed for specific technology transfers by the former to the latter. The size of Ukraine’s military-industrial sector remains underestimated despite a massive catalog spanning rocket engines and the world’s largest transport aircraft. A number of factors have negatively impacted its overall performance, however, and made Ukrainian armaments companies less competitive than their European neighbors. Foremost is Kyiv’s reluctance to raise its annual military budget, which caused the armed forces endless grief when it began fighting Russian-backed separatists in 2014. Another problem is a lack of investment that should have updated equipment and skills among the largest manufacturing enterprises in the sector. This explains why one of Europe’s largest tank factories in Kharkiv struggles to build its premier main battle tank, the Oplot, in sufficient numbers while its counterparts in China and Russia maintain several productions lines for armored vehicles. As a non-EU state with few prospects for joining NATO, Ukraine is a dark horse in the global arms trade selling dual use technology and equipment everywhere, especially to war-torn countries and sanctioned regimes. It’s no secret China’s first operational aircraft carrier the Liaoning is based on a Soviet-era hull abandoned in a Ukrainian dock. Even Iran’s mysterious long-range cruise missile is suspected of being copied from Soviet anti-ship missiles that Ukraine sold illegally. But financial handicaps haven’t stopped Kyiv and the state-owned arms exports agency Ukroboronprom from seeking fresh business in emerging markets. A recent agreement with the UAE involved collaboration in four distinct categories. These are precision missiles, unmanned systems and their countermeasures, electronic warfare, and battlefield communications. The first two–missiles and drones–are noteworthy because Ukrainian companies do have superb offerings for either. In fact, Jordan’s production of a short-range anti-tank missile succeeded because it was based on a proven Ukrainian model. From the UAE’s side the agreement with Ukraine, whose conditions can take years to fulfill, shows Abu Dhabi’s focus on becoming a genuine regional power on a scale unseen among the GCC. Having built a formidable air force and an army that deploys abroad, further outlays for local manufacturing of military products can shorten the time it takes for acquiring world-class capabilities. It bears repeating how Abu Dhabi does have not-so-secret programs for localizing “light” strike aircraft and establishing its own arsenal of ballistic missiles. ← When Do You Hire A Risk Consultant?